In addition to the materials found below, the reader should refer to the Glossary section in this catalog for additional important information relative to graduate education at MTSU. Admission is granted to a specific program of study, and a student may not change the major, the concentration, or the minor without a recommendation by the relevant graduate advisor(s) and the written approval of the dean of the College of Graduate Studies. All applicants must hold a bachelor’s degree from an accredited university. In addition, applicants for the Ed.S. degree must also hold a master’s degree from an accredited university. The comprehensive examinations are scheduled by each department during the last part of the semester in which the student expects to graduate. These may be oral, written, or both. This test is not merely a reexamination of coursework, but it is an assessment of the candidate’s ability to integrate scholarly information linking the major and related fields. The comprehensive examinations may be taken no more than twice. The degree plan is established in consultation with the graduate advisor and sets out the curricular plan to follow for the purpose of graduation. The degree plan must be filed and approved prior to the completion of 21 credit hours (or earlier if required by the graduate program). The form is approved by the pertinent graduate program personnel (e.g., major professor, graduate advisor, etc.) and the dean of the College of Graduate Studies (or designee). It may not be filed in the semester in which the student anticipates to be graduated. M.A.T. and M.S.T. degree plans must also be signed by the dean of the College of Education or an appropriate representative if licensure is being sought. The degree plan for the M.Ed. requires that the student have a professional license to teach and thus must also be signed by the dean of the College of Education or an appropriate representative. For students pursuing either a second master’s or specialist’s degree at MTSU, the degree plan should be filed prior to the completion of 18 credit hours of coursework. If for any reason the courses listed on the degree plan cannot be followed, a revision to the degree plan must be filed with the dean of the College of Graduate Studies. This must be approved by the major professor, reader(s), and/or faculty advisors. After admission, a degree-seeking student is assigned faculty advisors in the major and minor areas. The student should consult these advisors for program planning and optimal course scheduling. By the end of the second full week of the term in which the student intends to graduate, or by the end of the first week of the Summer June Term (for August graduation), the candidate must file an Intent to Graduate form (www.mtsu.edu/graduate/forms.php) with the College of Graduate Studies, pay relevant fees at the Business Office, and complete the College of Graduate Studies exit survey. All degree requirements must be completed prior to the date of graduation. The thesis in final form must be electronically submitted no later than the date specified in the University Academic Calendar, which is approximately six weeks before graduation. It must be approved by the major professor, the reader(s), and the department chair prior to submission. Guidelines for electronic submission of theses are found in the College of Graduate Studies Thesis and Dissertation Manual. Guidelines for the thesis vary from department to department. While the responsibility for the technical quality and content of the thesis or dissertation lies in the graduate committee, the College of Graduate Studies imposes format requirements to ensure an appropriate appearance for your thesis or dissertation and recognizes the quality of the product you have produced by accepting it. Final responsibility for the thesis or dissertation lies with the author . The University reserves the right to refuse any manuscript that is not in agreement with the MTSU Thesis and Dissertation Manual formatting guidelines, is not in suitable condition for archiving, is in any form plagiarized or fabricated, or does not meet the quality standard expected of a graduate thesis. Thus a thesis not meeting standards may be rejected by the dean of the College of Graduate Studies and graduation delayed. NOTE: Once the student has begun taking thesis research, he/she is expected to enroll in at least 1 semester hour of thesis research (course 6640) until the thesis is completed. 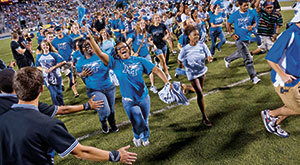 Middle Tennessee State University offers the Special­ist in Education (Ed.S.) degree in Administration and Supervision and in Curriculum and Instruction. The Ed.S. degree is provided specifically for teachers, counselors, and administrators wishing to pursue graduate study beyond the master’s level. The Ed.S. in Administration and Supervision is available through the Womack Educational Leadership Department. The Ed.S. in Cur­riculum and Instruction is offered by both the Depart­ment of Educational Leadership and the Department of Elementary and Special Education. The Ed.S. in Cur­riculum and Instruction with a concentration in School Psychology is offered by the Department of Psychology. complete all applicable coursework after receipt of the master’s degree. file a degree plan with the College of Graduate Studies prior to the completion of 21 credit hours. No courses at the 5000 level or lower may apply toward the specialist degree. successfully complete a written (and/or oral) com­prehensive examination. The examination may be taken no more than twice. complete all specific graduate program requirements. These additional specific degree requirements are found under the applicable department. An individual who has received one specialist degree from MTSU may obtain a second specialist degree with a mini­mum of 24 additional semester hours of graduate coursework earned at MTSU if approved in advance by the graduate program and the graduate dean. No transfer coursework is accepted towards the second specialist degree. All specific course requirements must be met for the second degree (except FOED 7060 - Seminar in Educational Foundations and SPSE 7130 - The Curriculum: Structures and Functions ), including the written comprehensive examinations and thesis (if relevant). All semester hours must be earned after the first specialist degree has been conferred. 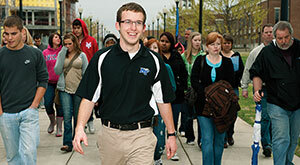 Middle Tennessee State University offers graduate degrees and certificate programs encompassing over 80 areas of study. These include the Master of Accountancy (M.Acc. ), Master of Arts (M.A. ), the Master of Arts in Teaching (M.A.T. ), the Master of Business Administration (M.B.A.), the Master of Busi­ness Education (M.B.E. ), the Master of Criminal Justice (M.C.J. ), the Master of Education (M.Ed. ), the Master of Fine Arts (M.F.A. ), the Master of Science (M.S. ), the Mas­ter of Science in Nursing (M.S.N. ), the Master of Science in Teaching (M.S.T. ), the Master of Professional Studies (M.P.S. 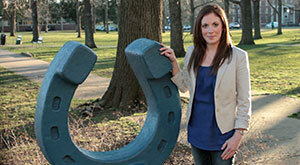 ), and the Master of Social Work (M.S.W.). satisfactorily complete the undergraduate prerequisites. complete a minimum of 30 (or more) semester hours of graduate coursework. No more than 30 percent of the total degree hours may be dually listed as undergradu­ate/graduate hours. No undergraduate courses may apply toward the graduate program requirements. If a thesis is required, normally no more than three hours will apply toward the 30 (or more) semester hour program require­ment. However, additional semester hours of thesis research (6640) may be taken and will appear on the student’s transcript. file a degree plan with the College of Graduate Studies prior to the completion of 21 credit hours. successfully complete a written (and/or oral) comprehen­sive examination; the examination may be taken no more than twice. complete all specific graduate program requirements. A Master of Accountancy (M.Acc.) degree program is offered by the Department of Accounting in the Jennings A. Jones College of Business. Specific program requirements may be found under Accounting. Departments offering programs leading to the Master of Arts degree include Economics and Finance, English, History, Music, Political Science, Psychology, and Sociology and Anthropology. Normally, the Master of Arts degree requires a thesis; how­ever, graduate programs in English, Economics and Finance, Music, and Political Science (International Affairs) include a non­thesis option requiring more than 30 semester hours. Specific program requirements may be found under the appropriate program. The Department of Foreign Languages and Literatures offers the Master of Arts in Teaching in Foreign Languages. The degree should be pursued by those individuals interested in teaching. Admission is open to licensed teach­ers as well as those seeking initial licensure. Specific program requirements may be found under the Foreign Languages program. The Master of Business Administration program includes courses in the following six areas of business: accounting, economics, finance, management, marketing, and information systems. Specific degree requirements are found under Business Administration. A Master of Business Education (M.B.E.) degree program is offered by the Department of Business Communication and Entrepreneurship in the Jennings A. Jones College of Business. Specific degree requirements are found under Business Education. The Master of Criminal Justice degree program is a joint program with Tennessee State University. Students may seek professional employment in the operational agencies in the field of criminal justice or pursue relevant research or teaching positions. Eighteen semester hours credit from each university is required. Departments offering programs leading to the Master of Education degree include Womack Educational Leadership and Elementary and Special Education. The M.Ed. degree provides programs of study in Administration and Supervision, Curriculum and Instruction, Professional Counseling, Literacy, and Special Education. Specific degree requirements are found under Administration and Supervision, Advanced Studies in Teaching and Learning, Curriculum and Instruction, Literacy, Professional Counseling, and Special Education. The Master of Fine Arts (M.F.A.) with a major in Recording Arts and Technologies is offered by the Department of Recording Industry to prepare practitioners in the field of audio and music recording and production for advanced work in an integrated electronic media environment. 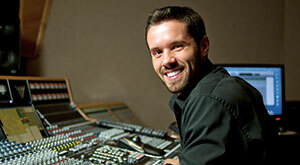 Specific degree requirements are found under Recording Arts and Technologies. MTSU offers in collaboration with other Tennessee Board of Regents institutions the Master of Professional Studies for individuals seeking interdisciplinary training within the social sciences and their current profession. Specific degree requirements are found under Professional Studies. The University offers the Master of Science degree in the areas of Aviation Administration, Biology, Chemistry, Computer Science, Engineering Technology, Exercise Science, Health and Human Performance, Horse Science, Human Sciences, Information Systems, Leisure and Sport Management, Management, Mass Communication, Mathematics, and Professional Science. Specific degree requirements are found under the applicable program. The Master of Science in Nursing Degree (M.S.N.) is offered through the Regent’s Online Degree Program (RODP) and is delivered following the standard protocol established for the delivery of RODP courses and programs. Specific program requirements may be found under Nursing. The Master of Science in Teaching degree is offered by the Department of Mathematical Sciences. The degree should be pursued by those individuals interested in teaching. Admission is open to licensed teachers as well as those seeking initial licensure. Specific degree requirements are found under Mathematics. The Master of Social Work degree program is a collaborative program with Middle Tennessee State University, Tennessee State University, and Austin Peay State University. Specific degree requirements are found under Social Work. An individual who has received one master’s degree from MTSU may obtain a second master’s degree with a minimum of 24 additional semester hours of coursework earned at MTSU if approved in advance by the director of graduate studies and the graduate dean. No transfer coursework is accepted towards the second master’s degree. All specific course requirements must be met for the second degree, including the written comprehensive examinations and thesis (if relevant). All semester hours to be applied toward the second degree must be earned after the first master’s degree has been conferred.